— John Van Dyke (Graduate Research Assistant): John earned his Bachelor's degree in Physics and Astronomy from Northern Arizona University. He is currently a graduate student within the Cedars-Sinai Master’s in Magnetic Resonance in Medicine degree program. His research involves development and optimized implementation of deep-learning approaches for analysis of cardiovascular MRI data. — Zulma Sandoval, PhD (Postdoctoral Scientist): Zulma earned her doctorate in Signal Processing and Telecommunications from University of Rennes, France, in 2015. She is currently working with Dr. Sharif and renowned cardiologist, Noel Bairey Merz, MD who directs the Cedars-Sinai Women's Heart Center, to develop new MRI-based analysis tools for accurate quantification of myocardial blood flow. 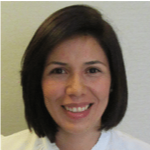 Since her start at the TIM lab in 2016, Zulma has contributed to two ongoing projects (see her abstracts in SCMR and ISMRM conferences). 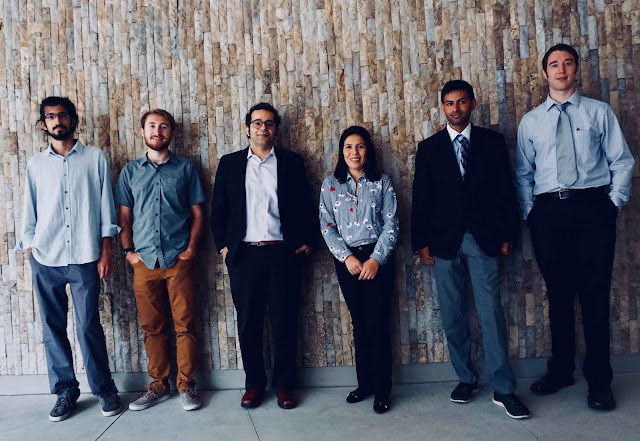 More recently, she has been investigating the application of new deep-learning methods in automated analysis of myocardial perfusion abnormalities based on the clinical data obtained from patients with coronary microvascular dysfunction. — Hazar Benan Unal (PhD Student): Hazar earned his dual Bachelor's degree in Electrical Engineering and Physics from Bilkent University in Ankara, Turkey in 2018. He is currently a first-year PhD student at the Department of Bioengineering, University of California Los Angeles (UCLA) under the mentorship of Dr. Sharif. The focus of Hazar's doctoral research is on developing deep-learning methods for patient-adaptive design of MR pulse sequences and fast image reconstruction techniques with application in dynamic MRI. — Eric Han (Undergraduate Research Intern): Eric is currently an undergraduate student at Johns Hopkins University, majoring in Biomedical Engineering. He is interested in medical imaging in a broad sense and has joined the lab as a Summer research intern to contribute to a project focused on automatic myocardial segmentation using deep learning methods. — Ms. Linda Azab (Management Assistant): Linda provides administrative support for the TIM lab as part of Cedars-Sinai BIRI. — Ahmed Al-Badri, MD: Ahmed was a clinical research fellow at the CSMC Barbra Streisand Women’s Heart Center during 2015-2017 (primary mentor: Noel Bairey Merz, MD) and was co-mentored by Dr. Sharif. He is currently a cardiology fellow at Emory University School of Medicine. 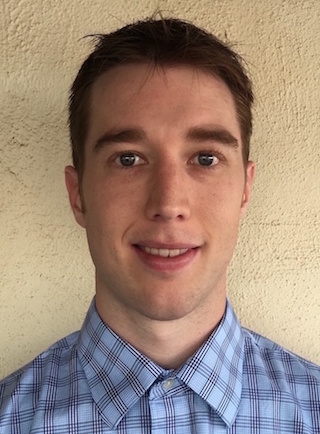 — David Gultekin, PhD: David was a project scientist in TIM lab in 2017, primarily working on improving the image quantification workflow for perfusion MRI datasets. — Zhengwei (Jenny) Zhou, PhD: PhD candidate at UCLA Department of Bioengineering (primary mentor: Debiao Li, PhD) and co-mentored by Dr. Sharif (2014 to 2016). Currently a postdoctoral scientist at Cedars-Sinai BIRI. — Jaime Shaw, PhD: PhD candidate at UCLA Department of Bioengineering (primary mentor: Debiao Li, PhD) and co-mentored by Dr. Sharif during 2014-2016. Currently a postdoctoral trainee at Cedars-Sinai BIRI. — David Chen, PhD: Visiting graduate student at Cedars-Sinai BIRI and co-mentored by Dr. Sharif. Received PhD degree in Biomedical Engineering from Northwestern University in 2016 (primary mentor: Debiao Li, PhD). See the open positions page for current job openings in the TIM lab.